Amy joined PCG in 2014 as a Financial Advisor. Amy works with a variety of clients by assisting them with organizing and committing to their financial goals. Amy has a special interest in helping women, especially women in transition due to retirement, divorce, or a death in the family, because of their unique financial needs. Amy is also the primary resource in the firm for wealth management planning and investment research selection. Amy came to PCG after 16 years with Webster Bank, N.A. Most recently she worked with Webster Private Bank as a Relationship Manager and Wealth Advisor in the Hartford market. Amy is a past member of the Board of Directors for the Tunxis Community College Foundation in Farmington, and is a member of the Board of Corporators for Hartford’s iQuilt Plan. 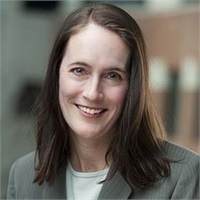 Amy is also a member of the Board of Directors of the Estate & Business Planning Council of Greater Hartford and an active member of the Connecticut Women's Council.